The businesses of Europa Business Park have an impressive stack of presents for Key 103’s Cash For Kids campaign. Each year Bizspace business centres act as collection points for the radio station’s Mission Christmas toy appeal. Cash for Kids aims to collect £1 million worth of toys to help the 150,000 children in Manchester living in poverty, who are not expecting a visit from Santa this year. Residents and businesses are asked to buy one extra present this year, which will be passed to a child living in poverty to make their Christmas. New and unwrapped presents are needed for babies, toddlers, children and teenagers, aged 0 to 18 years. Bright Website Design are delighted to support Bizspace and the campaign for Key 103 that they generously promote and encourage each year. Bizspace business centres are located throughout Greater Manchester and Stockport in the North West, click here to find your local participating business centre. 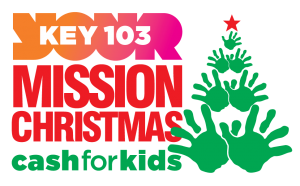 The final day for dropping toys off at Mission HQ is 5pm on Friday 18th December. Don’t worry if you can’t get to a local drop off as cash donations to the appeal can also be made online, to find out more or to make a donation click here.